The Franklin County W.O.W. 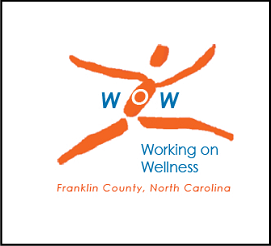 Wellness Program is dedicated to improving the health and wellness of the employees of Franklin County, through the implementation of programs focusing on physical, mental, and financial health. Programs focus on increasing the knowledge and promotion of healthy lifestyle choices, maintaining the health of those who are well, and improving the health of those who are chronically ill.
Employees are invited to participate in a number of events and programs targeted at improving their health.